Tangiers Lemon White (China) - 3 oz. Contains high antioxidant level of 7.5-9.5% vs 5-6% for mass-market teas. Character: Exquisite lemon notes. 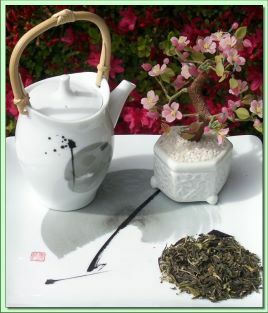 White tea lends a lovely sweetness to cup. Clean finish. In the exotic spirit of Tangiers, the flavor of fresh lemons are mixed with a top quality white tea to create something best described as poetry in a cup. With a light brisk character layered with sultry hints of lemon, from the first sip you'll feel like you've been transported to heart of the magical city.